24/7 emergency plumber service covers the city of Liverpool and Aigburth, Aintree, Allerton, Anfield, Belle Vale, Bootle, Broad Green, Childwall, Clubmoor, Crosby, Croxteth, Dingle, Edge Hill, Everton, Fairfield, Fazakerley, Garston, Gateacre, Grassendale, Hale, Hale Bank, Halewood, Hunts Cross, Huyton, Kensington, Kirkby, Kirkdale, Knotty Ash, Knowsley, Lee Park, Litherland, Little Crosby, Liverpool City Centre, Lydiate, Maghull, Mossley Hill, Netherley, Netherton, Newsham Park, Norris Green, Old Swan, Orrell, Page Moss, Picton, Prescot, Seaforth, Sefton, Smithdown, Speke, Stanley, Tarbock Green, Toxteth, Tuebrook, Walton, Warbreck, Warterloo, Wavertree, West Derby, Widnes, Woolton, Yew Tree. With sales taking place almost every month of the year and companies falling over themselves to get your business, it is easy to find a gas appliance bargain, but not always easy to find a good gas fitter to connect it for you. This is where First Choice Heating Services Liverpool comes in - well known for excellence in value for money and a reputation for honesty, integrity and reliability of service. First Choice Heating Services Limited Liverpool's Gas Safe engineer will connect and safely install your new gas oven, cooker and/or gas hob complete with gas isolator to residences in the Merseyside area. Government regulations state that there must be adequate ventilation in the room where the appliance will be installed. Gas appliance regulations apply to all domestic gas appliances and must be followed by law. I bought my gas oven and gas hob online, but there was no installation option. I live in Merseyside, can you fit them for me? All domestic gas appliances must be installed by a competent and qualified Gas Safe Registered® Engineer. Any gas appliance installation not carried out by Gas Safe Registered® Engineer is illegal and puts you, your family and your neighbours in danger. Always use a Gas Safe Registered® Engineer and check their credentials before you allow them to work in your home. 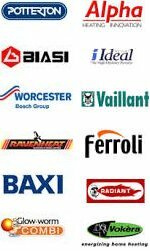 Your First Choice Heating Services Limited Liverpool's Gas Safe Registered® Engineer is both skilled and highly trained to work on all aspects of domestic gas appliance installation, service and repair. All domestic gas appliance installations are charged by the hour - please see the transparent pricing structure or CONTACT First Choice Heating Services Liverpool or call 0151 706 8091 to discuss your new gas oven, hob and/or cooker installation requirements - in most cases a free telephone quote can be given during your call. It is recommended that all domestic gas appliances are serviced by a Gas Safe Registered® Engineer every year. Rigorous checks will be carried out to ensure the safety of you and your family. Any problems can be addressed before they become a hazard and minor faults corrected before they become an expensive repair. An annual service will not only keep you and your family safer, it will also extend the life of your appliance and keep it running at maximum efficiency. Your First Choice Heating Services Limited Liverpool's Gas Safe Registered® Engineer is a highly skilled professional, trained to service and repair all domestic gas appliances. To arrange your domestic gas appliance service today, call 0151 706 8091 or CONTACT a gas technician to make an appointment for a time to suit you. First Choice Heating Services Limited Liverpool supplies and installs new gas fires to residences in the Merseyside region of the UK. Your Gas Safe registered expert engineer will cleanly and safely install your new gas fire and clear up afterwards, leaving your home as tidy as it was when he arrived. I live in Merseyside and have already bought my new gas fire, can you install it for me? Yes. Should you decide to source your own gas fire, engineers at First Choice Heating Services Liverpool are fully qualified to undertake all domestic gas fire installations using Gas Safe Registered® Engineers. As with domestic gas cooker, oven and hob installations, domestic gas fire connections are charged by the hour - please see the Pricing Chart. First Choice Heating Services Liverpool offer a gas fire fitting service on the majority models and makes of domestic gas fires. For more details, please CONTACT a gas technician or call 0151 706 8091 to discuss your new gas fire installation requirements and ask for your free quote. The First Choice Heating Services Limited Liverpool gas fire service consists of checking burner pressure, conducting a flue flow test, checking for spillage and cleaning radiants/coals. One of the main reasons gas fires stop working is because they have not been serviced regularly. Government guidelines recommend all gas appliances are serviced annually by a professional gas engineer. Another gas fitter installed my gas fire, can you service it for me? Yes. Your safety is important. All gas fire services at First Choice Heating Services Liverpool are carried out by fully qualified registered Gas Safe engineers who will carry out thorough checks on seals to ensure your appliance is not leaking carbon monoxide. An annual gas fire service will make your gas fire more efficient to run, helping to cut down on gas bills and substantially reduce the risks of breakdown and repairs. For further details, please CONTACT a gas technician or call 0151 706 8091 to discuss arrange a service for your gas fire. First Choice Heating Services Liverpool cover all residential addresses in Merseyside, from The Wirral to St Helens covering Liverpool and Aigburth, Aintree, Allerton, Anfield, Belle Vale, Bootle, Broad Green, Childwall, Clubmoor, Crosby, Croxteth, Dingle, Edge Hill, Everton, Fairfield, Fazakerley, Garston, Gateacre, Grassendale, Hale, Hale Bank, Halewood, Hunts Cross, Huyton, Kensington, Kirkby, Kirkdale, Knotty Ash, Knowsley, Lee Park, Litherland, Little Crosby, Liverpool City Centre, Lydiate, Maghull, Mossley Hill, Netherley, Netherton, Newsham Park, Norris Green, Old Swan, Orrell, Page Moss, Picton, Prescot, Seaforth, Sefton, Smithdown, Speke, Stanley, Tarbock Green, Toxteth, Tuebrook, Walton, Warbreck, Warterloo, Wavertree, West Derby, Widnes, Woolton, Yew Tree. Whatever your domestic plumbing, kitchen appliance connection, gas appliance and central heating needs, First Choice Heating Services Limited Liverpool is your local experienced, reliable and friendly plumbing and heating company offering support in the event of a breakdown or providing ongoing maintenance and annual domestic gas servicing - safety and quality assured. More than 200 people in the UK are admitted to hospital each year with suspected carbon monoxide poisoning, on average 40% of them are lethal. Carbon monoxide is a highly poisonous odourless, tasteless colourless gas which is slightly less dense than air which, when breathed in, will replace the oxygen in the bloodstream leading to paralysis, brain damage and death. In the majority of cases of carbon monoxide poisoning is caused by faulty cooking appliances and combustion heating. To keep your family safe, it is common sense to have your all your gas appliances checked at least once a year and always to use a Gas Safe® Registered Engineer and install a CO alarm in each room with a gas appliance. Ensure the CO alarm is marked to EN 50291 and that it has the British Standards Kitemark on it. First Choice Heating Services Limited Liverpool offers a transparent pricing structure for gas safety checks in the Merseyside area, all of which will be carried out by a gas appliance installer who is a fully qualified registered Gas Safe® engineer - you can check the Gas Safe credentials here - and are based on testing 3 domestic appliances, any further testing would be charged per appliance as outlined on the price chart. For the same charge, The First Choice Heating Services Limited Liverpool will award Liverpool Landlords and Letting Agents the necessary legally required Gas Safety Certificate. A central heating system clean will help reduce the need for repairs and emergency callouts, reduce system running costs by boosting efficiency, increase the lifespan of your entire heating system (pipes, radiators, cylinder and boiler) and generally improve your central heating performance. There are two types of flush - a power flush, jets of water pushed through the system, and a chemical flush where a chemical is allowed to circulate in the system before being drained off. A central heating system clean is often called a boiler/system Power Flush (also known as powerflush). What is a system power flush? A power flush is a one-off deep clean of your central heating system which uses a powerful pump to clear the debris from radiators, pipes, heat exchangers and coils. Chemical agents and water which is flushed through your system at high velocity allowing the build-up of iron oxide to be removed. The moment a boiler starts working it begins to produce scale deposits, rust and sludge. Over time this build-up is likely to affect the performance of your central heating system and/or boiler. When should power flushing be carried out? When performed correctly, a central heating system will only need powerflushing once every 8-10 years unless pipes and radiators are producing fresh sludge due to corrosion, in which case a more regular powerflush may be required. If your central heating system is suffering from any of these issues, a power flush is recommended prior to the installation of a new boiler. Some boiler manufacturers will refuse to accept a claim if the heating system has not been flushed within a stipulated number of years - check your boiler guarantee to be sure. Who should perform a central heating system flush in the Liverpool area? A central heating system flush should be performed by an experienced powerflushing specialist who is Gas Safe registered and a central heating professional, such as First Choice Heating Services Ltd.
Based in Liverpool, the gas technicians at First Choice Heating Services Limited Liverpool are experienced professionals (Gas Safe register number 501474) who are Power Flushing and de-scaling specialists for the Merseyside area. I need a central heating system flush, what now? For your free quote, call 0151 706 8091 or CONTACT First Choice Heating Services Liverpool. Your First Choice Heating Services engineer will explain system flush procedures and give an estimated quote for the work. This is fixed, provided there is no unforeseen additional work necessary, for example the need for new radiator valves in order to complete the power flush. An appointment will be booked for a time convenient to you. A full domestic central heating system powerflush can be accomplished in 3-8 hours (depending on the size of the property and number of radiators). Your radiators will be back to maximum efficiency, giving you a warmer home, reliable hot water and reduced fuel bills. First Choice Heating Services Ltd perform power flushing, chemical flushing and remedial work for homes in Liverpool and throughout the greater Merseyside region. All operatives are experienced and Gas Safe® registered, fully trained and qualified to work on your gas boiler and to perform central heating system cleaning.